2019 wedding trends and wedding photography on Pinterest. Weddings can be dangerous events to attend at the best of times. Emotions are running high, a huge amount of money has been splashed about in order to ensure the bride and groom have a truly magical experience and once you take into account the fact that animals and children can often be involved, well, it can all just turn into a bit of a disaster. However, it looks like 2019 is about to unleash another problematic wedding trend upon us all. Therefore, it’s important for all soon-to-be brides and wedding guests to remain alert but not alarmed (at least not just yet) about what’s to come. 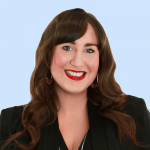 Pinterest, that glorious online mecca where people find joy in pinning photos of things they will never do to imaginary boards, have released their list of the official 100 Pinterest trends for 2019. According to the powers that be at Pinterest the biggest wedding trends for 2019 include couples having specially designed neon wedding signs created for their receptions (searches for neon wedding sign are up by 281%) and backyard garden weddings, with couples option for smaller and more cost-friendly celebration options (searches for garden wedding are up by 441%). 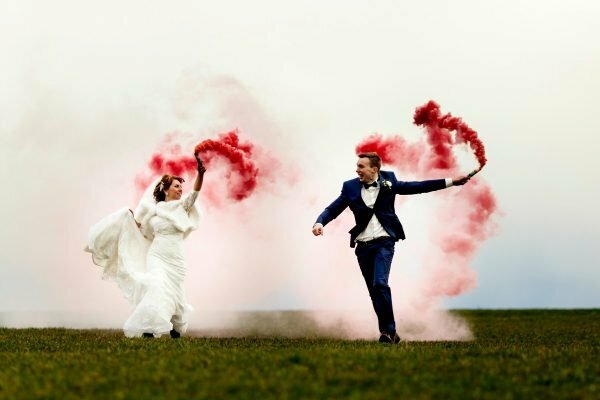 However, the most alarming (and surprising) wedding trend to be found on the 2019 Pinterest list is smoke bombs. Once used solely in sub-par magic shows to distract gullible audience members, smoke bombs are quickly becoming an essential part of many couple’s special day. 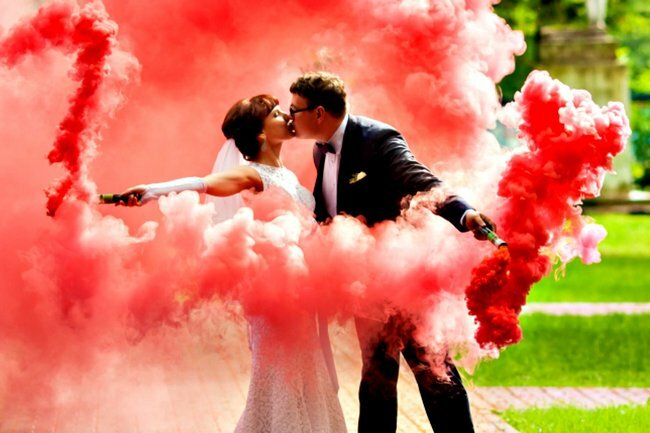 According to Pinterest, searches for smoke bomb photography are up by 436%, with users looking to add smoke bombs of every colour to both their wedding and engagement photos. The photos look a little like this. Smoke bomb photography is a top wedding trend for 2019. Source: Getty. If you&apos;re scratching your head and wondering what these dangerous sounding new wedding props actually are, they are billed as "safe grenades" that emit a non-toxic coloured smoke that fills the air. They were originally created for military and recreational use as ground cover, before being co-opted for the wedding industry. For instance, do these coloured smoke bombs really not leave any kind of a residue over the venue once you&apos;re done snapping your pics? That&apos;s not great news for the couple who have booked in to tie-the-knot the following day. And, is it really a good idea to be letting loose clouds of coloured smoke near a group of people wearing white and pastel outfits that cost the same as small cars? There&apos;s also the potential for smoke bomb-related accidents to derail these weddings days completely. All it would take is for one poorly aimed bomb to make its way into somebody&apos;s face for the whole wedding party to find themselves in the emergency room instead of on the dancefloor grooving to the Macarena. So before you say "I do" to a wedding day filled with coloured smoke bombs, just ensure you have a full emergency plan in place.